Take an active role in protecting your credit card account. 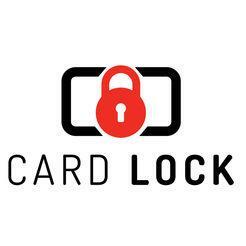 The Card Lock mobile app adds a layer of security to your Member One Visa® credit card by allowing you to easily manage how your credit card is used. It’s free and could help prevent potential fraudulent transactions. Credit cards aren't just for daily expenses or budgeting. Have you ever considered your credit card as a way to protect yourself from theft, accidents, and emergencies? Accidentally leave your credit card at a restaurant? You can use the app’s block feature to disable the card until you’re able to retrieve it. Set controls on how your card can be used. Create rules such as setting a transaction limit so any charge above a certain amount will be declined. You can even set up a rule to decline online or international transactions, or transactions in certain states. Create alerts to be notified of card activity. Set up push notifications, text messages, or emails to notify you of various card activities. This ensures you’re always aware of how your card is being used. iPhone®: Click here to download the app from iTunes® or search for Card Lock in the App Store on your device. Android®: Click here to download the app from Google Play® or search for Card Lock in the Google Play app on your device.